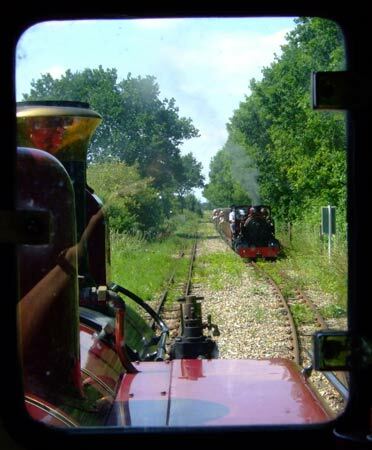 The Bure Valley Railway (BVR) is a 9 mile long 15" gauge line in the English county of Norfolk. Laid on the trackbed of a standard gauge branchline closed in 1982 the BVR, which opened in 1990, runs through rolling countryside linking the towns of Alysham and Wroxham. The original line very much followed the lie of the land as the gradient profile shows. 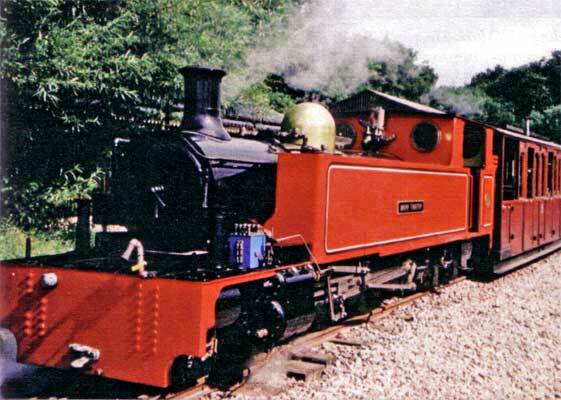 The bulk of the locomotive fleet is based on the Winson 'standard' ZB 2-6-2 type. The Winson machines were based on the 2"6' gauge ZB type operated in India and Pakistan. They had many shortcomings! To keep to time trains have to run up to the maximum line speed of 20mph and do so rapidly from station stops. Summer trains can load to 13 vehicles meaning quite an effort is required from the locomotive and crew to match the timetable requirements. 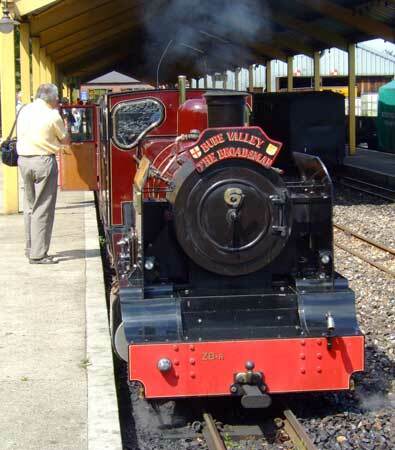 Engineer Ian Gaylor, a BVR volunteer, became aware, firsthand, of the shortcomings of the original locomotives when operating them. He was asked in 2001 to sort out problems with locomotive 'Mark Timothy', BVR No.10 (No.9 from January 2005) by owner Alan Richardson. In parallel on the other side of the world Shaun McMahon was struggling with an almost identical Winson product in the form of 2-6-2t 'Camila' on FCAF. Both machines were basically the same other than the gauge and body work. The chassis, boiler, steam circuit and most other things were virtually identical and came with an identical set of serious shortcomings! 'Camila' can be read about here. 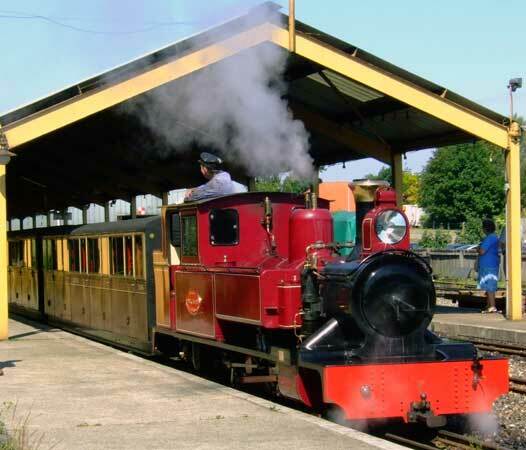 'Mark Timothy', built originally as a 2-6-4t in the style of a class 5a of the County Donegal Joint Railways Committee was delivered to the Bure Valley Railway's Alysham base in 1999 by Winson Engineering of Daventry, UK. 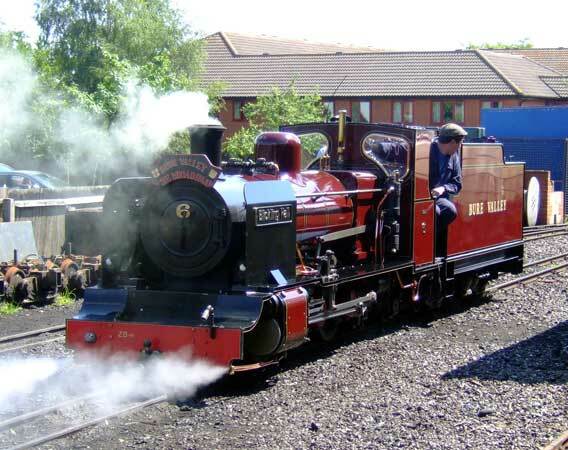 No.10 was built as an oil fired locomotive. Not long after it had arrived from Winson's it was returned to Daventry for fault rectification. On its return from Winson No.10 was still unsuitable for service. Further rectification by the manufacturers became impossible when they ceased to trade shortly after the loco had returned to Alysham. Cab height too low, even for the shortest crew members to sit upright. Many "detail" problems with the chassis and running gear. 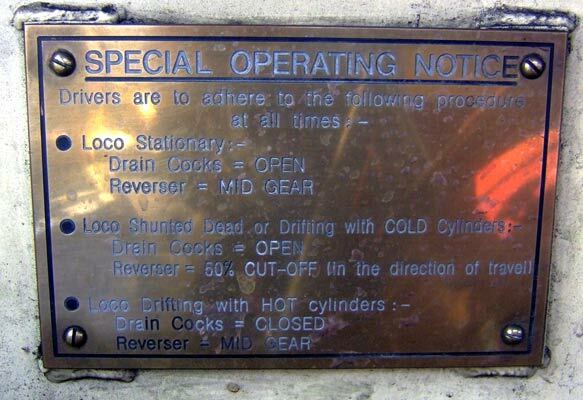 The oil firing system was faulty. The boiler would not be passed as safe to operate for other than tests. With Winson's no longer trading the owner decided to use the renowned firm Alan Keef Ltd to correct the fundamental errors with the locomotive. This process grew into a heavy rebuilding of the locomotive to make it much better suited to BVR conditions and to turn it into a reliable machine. Prior to the commencement of this work the locomotive, temporarily running as a coal burner, was tested on the private Perrygrove Railway to fully assess the (lack of) performance and to identify the full range of faults to be corrected. At an early stage of the rebuilding it was decided to alter the external appearance to that of a Leek and Manifold Railway 2-6-4t. It was felt the proportions of this design would better suit the locomotive than a modification of the original design, especially around the cab which was felt would look out of proportion if enlarged. A much larger cab was possible within the new outline but care had to be taken to keep it within the loading gauge of the line, maximum height being governed by the tunnel under the Alysham bypass. Tests were undertaken using BVR No.7 to ensure the height was practical and also, with the desire to have as tall a chimney as possible, that there was little opportunity for blow-backs. The diagram below illustrates the change in outline of the locomotive. An acknowledged, serious, shortcoming of the original Winson design were the cylinders. 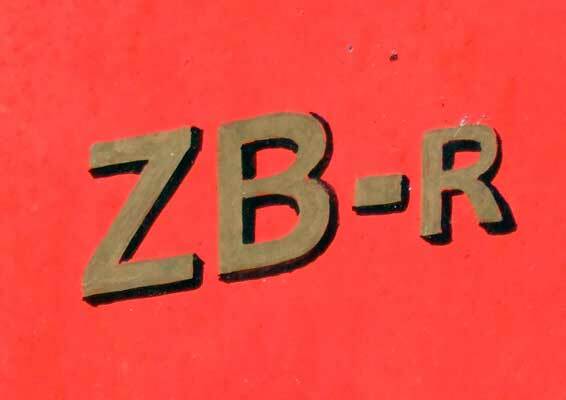 With short travel valves, restricted ports, passages and poor valve and piston design it was not surprising the original ZB type locos were very sluggish and heavy consumers of coal and water for the work done. So it was decided to replace the original cylinders with ones to a new design giving much better performance. 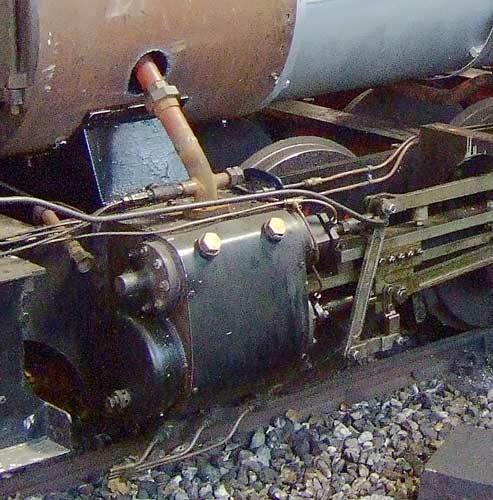 Some of the cylinder design was restricted by what had gone before - namely they were designed to use the same mounting bolt positions, exhaust passageway cut outs in the frames and kept the same cylinder bore and stroke. As with the originals 'spy holes' were included in the design to allow valve head and ring inspection without having to remove the piston valves. The valve chests provided are slightly less than the theoretical ideal but are 8 times the volume of those incorporated in the Winson cylinders. Naturally valvegear alterations were required to adequately drive the new type of piston valves used. Valve travel has been increased from an amazingly short 64mm to 74mm whilst full gear cut off has been decreased from 82% to 70%. The full travel cut-off was reduced to give larger valve openings at short cut offs and was achieved by altering the valve gear geometry and valve design. It reduces the maximum tractive effort at starting but as this is limited by adhesion anyway this is not an issue. Power output at short cut-offs and maximum line speed are however increased dramatically. 3 sets of Clupet type valve rings have been used to reduce steam leakage compared to two sets of 'normal' wide rings used previously. Mid-gear drifting is provided for with atomising steam for the lubricating oil providing sufficient positive pressure in the cylinders to prevent ashses etc being drawn into the cylinders. 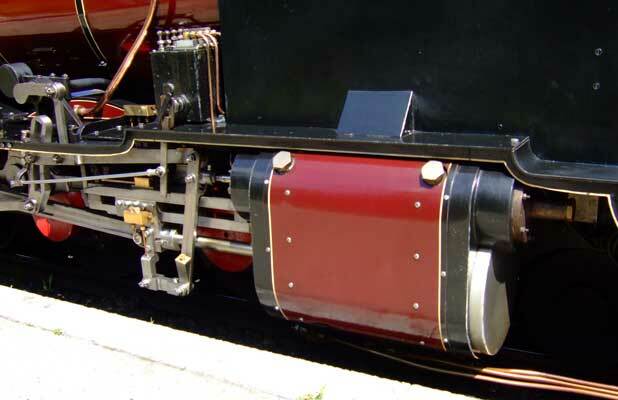 Two sets of cylinders were manufactured with the second set being destined for BVR No.6 'Blickling Hall'. 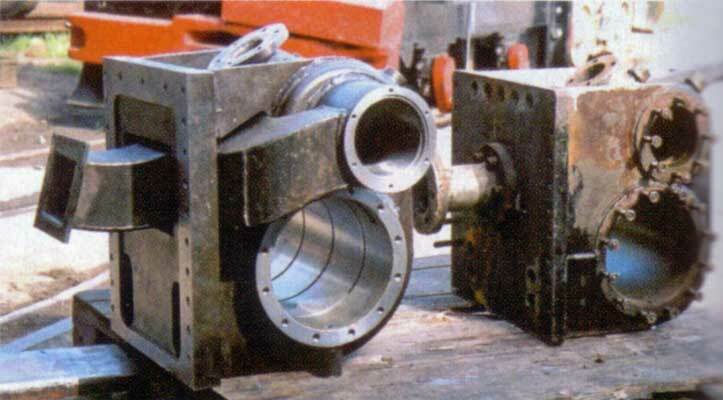 It is important to note that the cylinders are fabricated not cast. With a revised height of running plate 'Mark Timothy' also received new coupling rods. Alan Keef Ltd also found that the remaining items of motion, almost without exception, required attention. This was, again, due to manufacturing faults. To match the potential of the cylinders and give the maximum performance possible it was decided to fit a Kordina (of the straight walled type) and a Lempor exhaust ejector. The nozzle area is 44.5% greater than for the original design but still produces a great deal more smokebox vacuum for a given exhaust pressure. The ejector diffuser section, that is what is traditionally referred to as the chimney, has a 123% greater exit area than the original design. 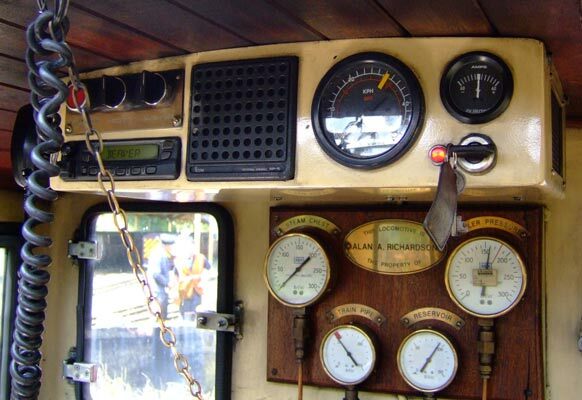 This system has made a significant impact on the performance of the locomotive. Fitting this front end arrangement was felt to be very important, even more so given the use of saturated steam. Every available bit of power was wanted to be extracted from the steam produced. Thus all the new components, cylinders and exhaust system, were designed to limit back pressure, pressure drop in general, steam leakage and condensation. In addition to the Lempor system, as is normal, an improved de Laval blower was installed. 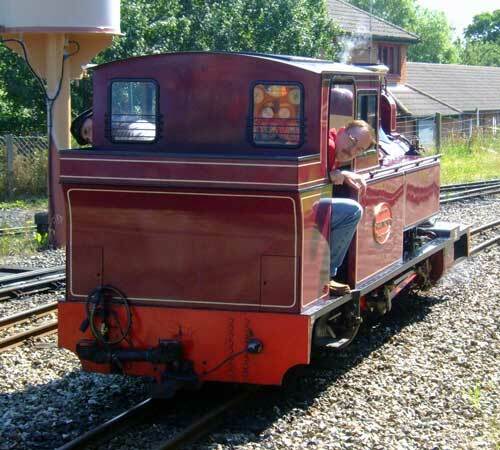 The frames at the rear of the locomotive were slightly altered to help give a better arrangement. In addition both the pony truck and rear bogie were reconstructed to give better ride and guiding characteristics. At the rear of the loco an axle driven alternator and air compressor were packed into the limited space. The compressor allows the reciprocating Winson air pump to be used as little as possible. On FCAF these items were found to be next to useless. That said the BVR type has been improved in-house to address the major shortcomings. An assessment of the design by Alan Keef Ltd's Alice Keef showed it to be excessively heavy at the back. Whilst not the ideal solution it was decided to increase the weight at the front to compensate. 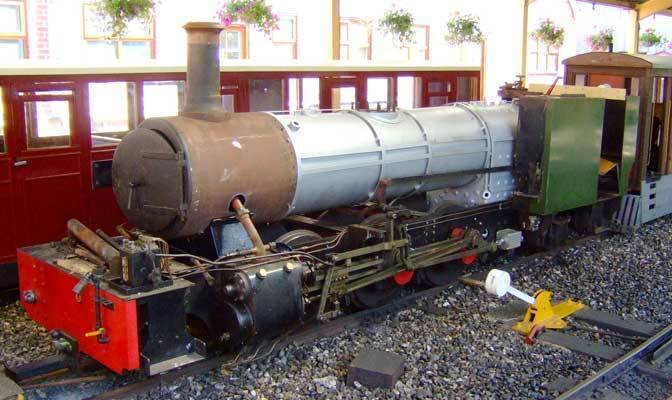 Thus a thick buffer beam and 40mm thick smokebox were provided. The locomotive remains a saturated machine. Despite serious manufacturing errors the basis of the boiler was sound and it was felt inappropriate during the rebuild to fundamentally alter it. The revitalised 'Mark Timothy' was delivered to the BVR on 28 July 2003. Commissioning occurred over the following few days. Initial results were very promising with performance in-line with expectations. In early 2004 electronic indicator tests were undertaken to scientifically assess 'Mark Timothy's' performance in comparison to the original Winson products. That said the BVR had already undertaken certain modifications to the machines to improve performance - notably to the lap and lead of the valves through the fitting of brand new valves and alterations to the valvegear geometry. 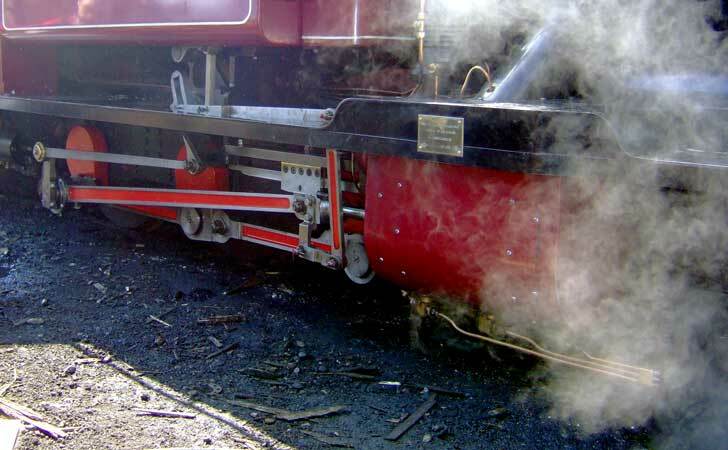 The tests were undertaken by a team of engineers from the Talyllyn Railway who had previously electronically tested members of the Talyllyn fleet. An interesting and unexpected result of the testing was that is was found the valve setting on 'Mark Timothy' was not quite right. With the aid of the test equipment this error in setup was corrected. Just a 0.5mm adjustment was required showing how critical to good performance valve setting is. The results of the testing showed 'Mark Timothy' capable of a drawbar pull of 7.5KN whilst the 'standard' engines used for testing, BVR Nos. 7 & 8, were only capable of 5KN. The test also showed up severe oscillations in the drawbar pull considered to be a combination of have a 2 cylinder locomotives and inadequate balancing of the reciprocating masses. Average smokebox vacuum on Nos. 7 & 8 were measured between -8 and -11 mm Hg but showed considerable variations. 'Mark Timothy' was able to produce -15mm Hg and with more stability. Cylinder back pressure in Nos. 7 & 8 was found to be 2 to 3 times greater than in 'Mark Timothy'. For 7 & 8 average back pressure was between 3.0 and 4.5bar, on 'Mark Timothy' is was just 1.65bar. The maximum drawbar horsepowers produced were 63.5 for 'Mark Timothy', 35.6 for No. 7 and 40.1 for No .8. However it has since been calculated that 'Mark Timothy' is able to produce 113dbhp. Lack of adhesion and problems with boiler water carryover prevented this sort of figure being produced during the tests. As can be concluded from these details the rebuilding was deemed a success! 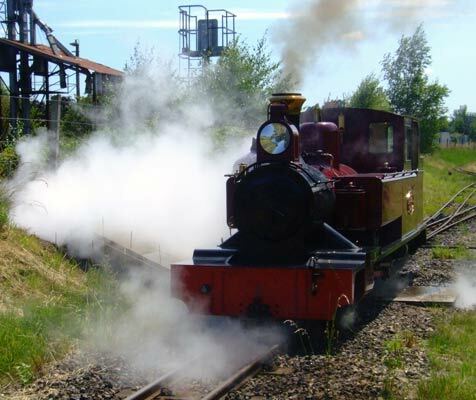 Following the great success with 'Mark Timothy' BVR No.6 'Blickling Hall' has received similar treatment with a new set of cylinders and Lempor exhaust system. 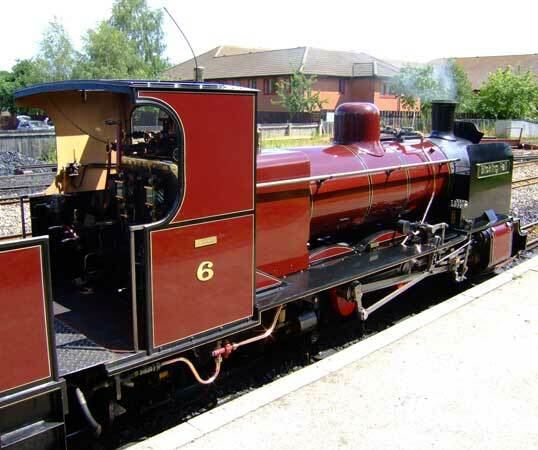 No.6 entered serviced in improved form during February 2005. 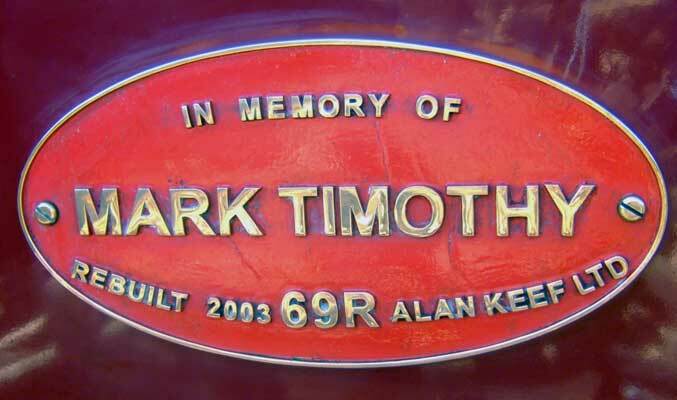 The work undertaken on 'Mark Timothy' lead to the design of a locomotive felt to be very suitable for the requirements of the BVR. Details can be viewed here. I know Ian would be very interested to hear from you if you would be interested in funding its construction! 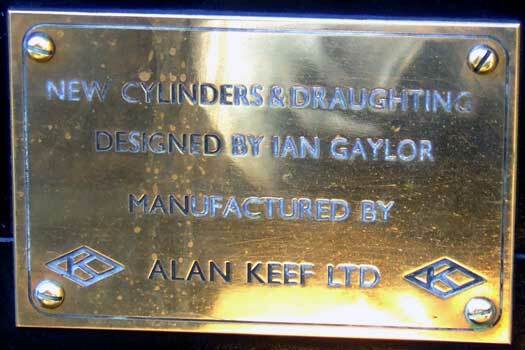 The rectification and rebuilding work was undertaken by Alan Keef Ltd. 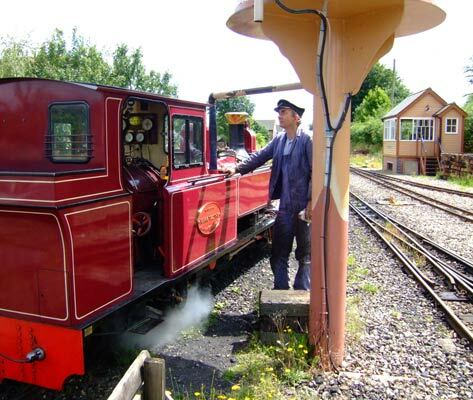 The Bure Valley Railway - operators of the above locomotives. Well worth a visit!